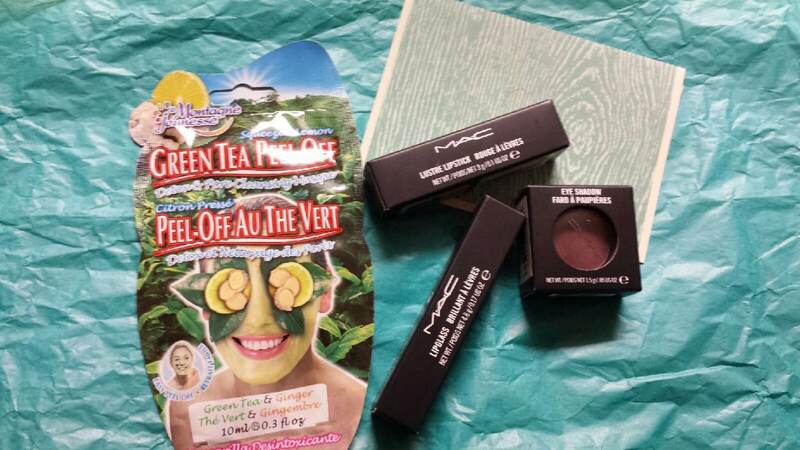 Pretty Little Beauty Swap Reveal. For this swap I was paired up with Tabitha from a hundred tiny wishes. We got to know each other and she sent me some really great stuff! 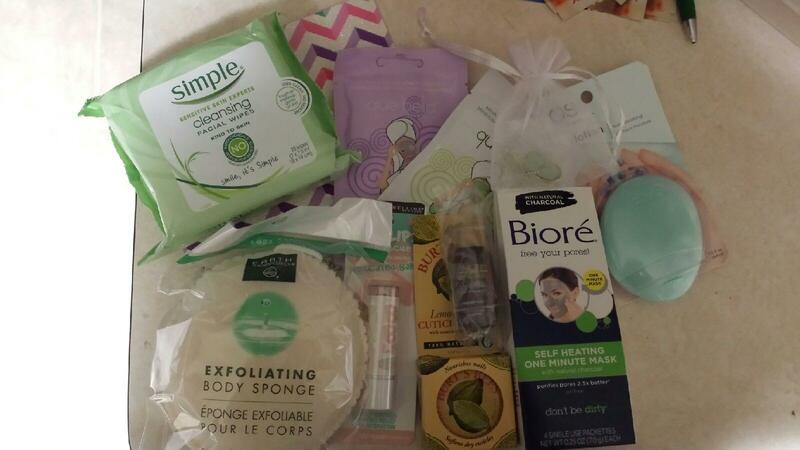 Simple Cleansing Facial Wipes + Que Bella Face Masks + EOS Lotion + Exfoliating Body Sponge + Baby Lips Dr. Rescue + Burt’s Bee Cuticle Cream + CHI Hair Oil + Biore Self-Heating One Minute Mask + Mint Earrings from her Etsy Store (an early wedding gift!). Can’t wait to participate in the next beauty swap! I had a great time getting to know Carilynn and hope to stay in touch. And as usual I can’t wait until the next swap! After chatting with Taylor about ourselves and our beauty routines, we found out that we have a lot in common. So that was great. She sent me a finger knit scarf that she made (! 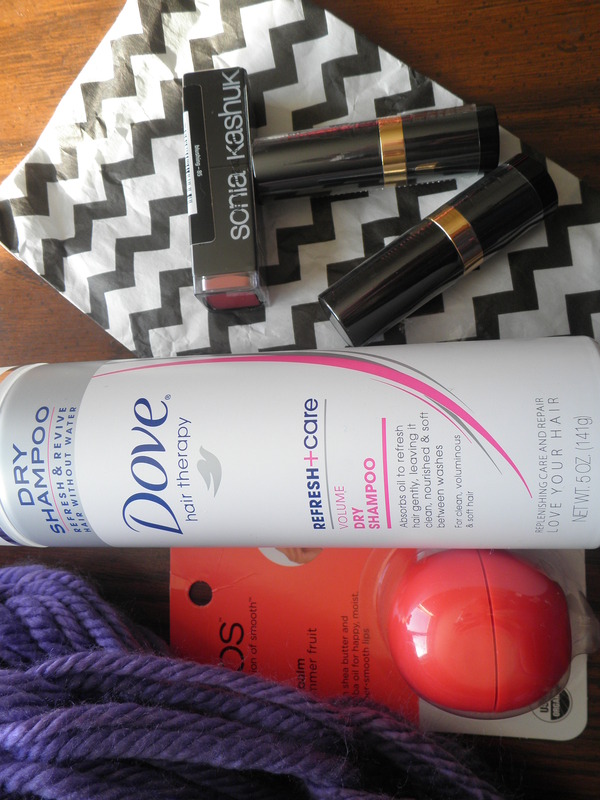 ), an EOS lip balm in summer fruit, Dove Dry Shampoo, and three lipsticks! The EOS lip balm makes me miss summer even more! Does summer feel like some mythical time that existed a long time ago to anyone else? Like the dinosaurs or something. I’ve been looking for a good dry shampoo for sometime. This Dove one works pretty good and has a really nice, clean scent. 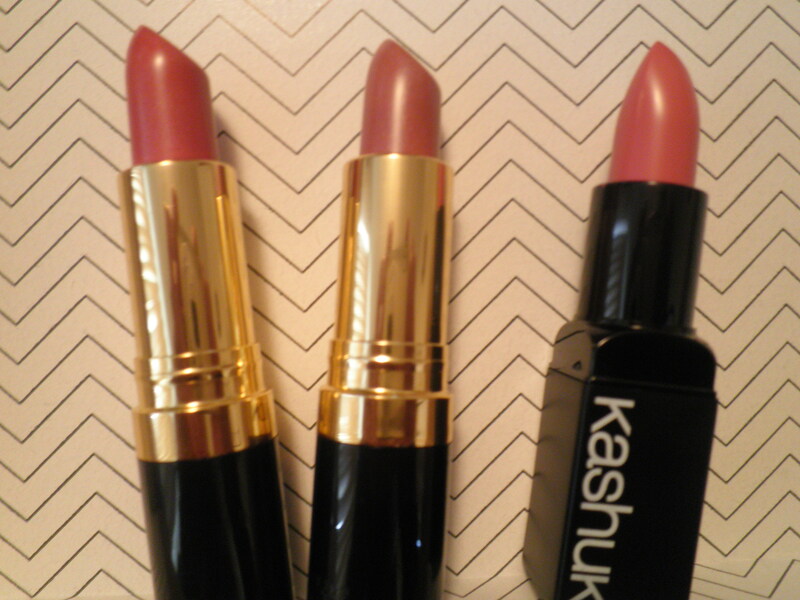 The top lipstick is Sonia Kashuk and the other two are Revlon. 1. Blushing Mauve (pearl) by Revlon. 2. Pink (pearl) by Revlon 3. Blushing by Sonia Kashuk. 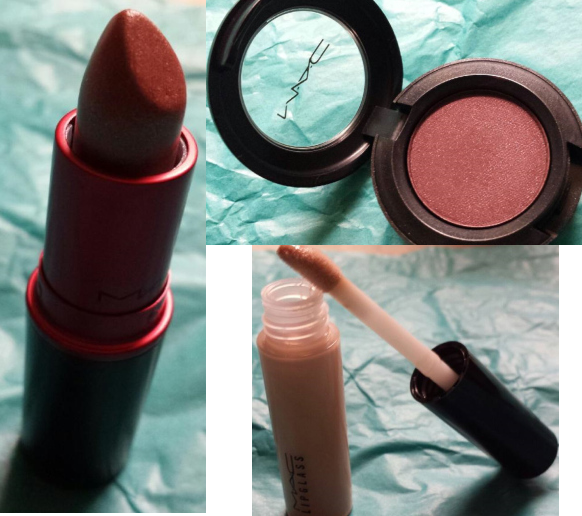 Three very pretty colors, prefect for spring if it ever gets here! They really can be worn year round (especially the first two) due to them being a nice mauve/neutral shade – which is great! Like last time, I had a lot of fun participating in this swap and can’t wait for the next one! If you want to see what I picked out for Taylor check out her post here. I signed up for the Crystal Cattle Beauty Swap, I had a lot of fun and got some great items! Now it’s time to reveal what I got. Taysha from Dirt Road Charm and I were paired up for the swap. Taysha & I decided that we would just give each other our likes & dislikes and surprise each other with what we brought. She did a great job picking out colors and products for me! 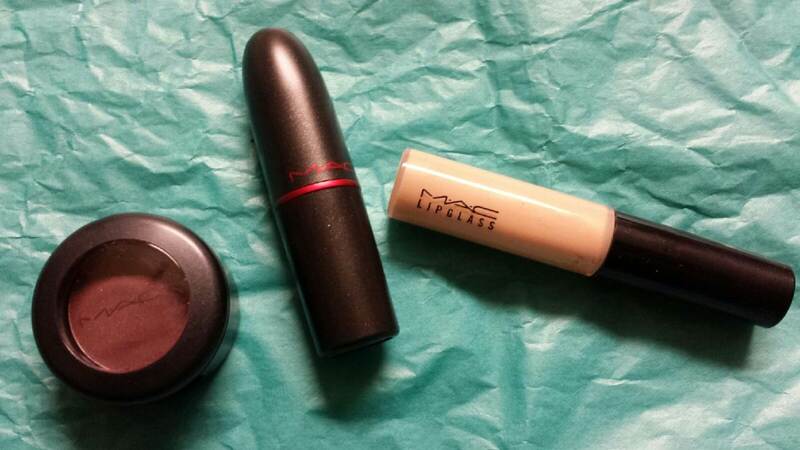 I don’t like bright lipstick so Viva Glam was perfect. I like a smoky eye so the deep purple was a great color to spice up a normal gray smokey eye. 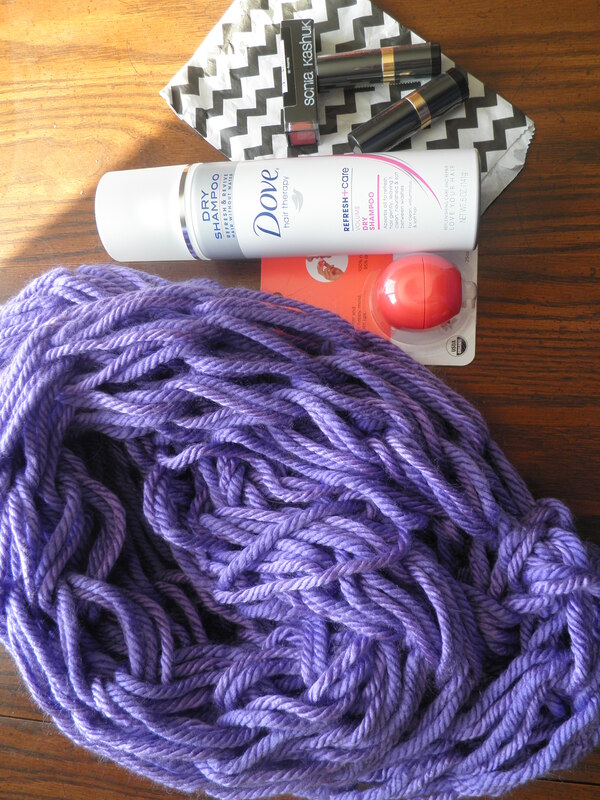 Check out Taysha’s blog to see what I picked out for her! Be sure to check out everyone who participated in the swap and see who they had and what they got. You can head over to Crystal Cattle’s blog for the link up!